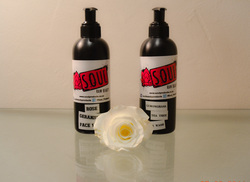 These two essential oils are deeply nourishing & soothing making this face wash suitable for all skin types. These two essential oils deeply cleanse without drying making this face wash perfect for oily/combination skin. Suitable for all skin types. Whether you're a bit dry today or maybe there's some excess oil happening on your face, this face wash will help balance & restore your skin. Suitable for dry skin. This cream is especially wonderful in winter as it gives your skin just that extra bit of TLC. 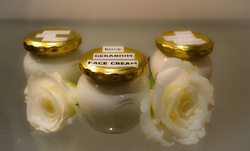 Rose & Geranium are both wonderfully nourishing & soothing to the skin. Suitable for oily/combination skin. This cream is antibacterial but also moisturises leaving your skin beautifully soft with a matte finish. After washing your face it is of vital importance to then balance your skin's pH level with a toner. There is no need for any harsh chemicals as floral waters balance, tone & hydrate the skin beautifully. We have three types of floral waters: Jasmin, Orange blossom & Rose. The best lip balm you'll ever try. Made with beeswax, avocado butter, grapeseed oil, natural colourant & natural fragrance. 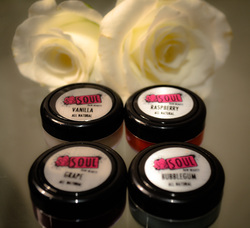 These beauties will keep your lips lusciously soft, without drying them out. They form a protective barrier, keeping in all moisture but still allowing your lips to breathe.